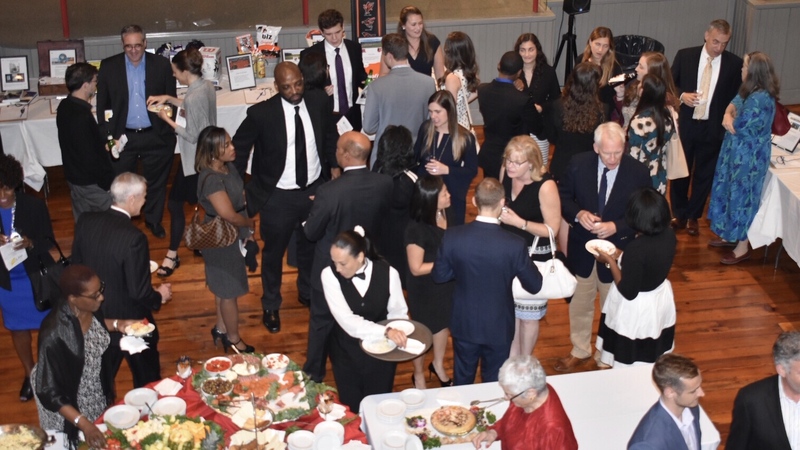 The Citizenship Law-Related Education Program (CLREP) kicked off its third “Trials & Tribulations” fundraiser, held June 7, 2018, at Westminster Hall in Baltimore, with a major announcement. After more than 40 years as MSBA’s arm in Maryland schools, the organization responsible for such law-related youth programs as the MSBA High School Mock Trial Competition and Baltimore City Teen Court, among others, unveiled its new name: Maryland Youth & the Law, or MYLAW. The event’s theme, “A Family Affair”, featured storytellers from prominent Maryland legal families, including Judge Joseph Murphy, Rebecca Murphy, Martin Welch, Jr., Jodie Buchman, Judge George Russell, III, and Judge George Russell, Jr.
For more information on MYLAW, please visit www.MYLAW.org.